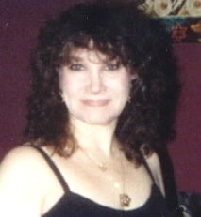 I am a writer, editor and publisher who loves to read and listen to music and dance. I am fortunate to be able to work at my craft and have recently added photography to the way I earn my living. I have written, edited or published over 25 books and have worked with many authors to help them publish through Golden Quill Press which I have been with since 1998. My newest book, "Code 47 to BREV Force," is a complete turnaround from my non-fiction background, newspaper and magazine writer, but I wrote it to encourage my children to read. That was over 20 years ago -- today it has morphed from the original 75 pages, to over 200, but it is my most loved work. .
F said: Golden Quill Press would like to invite Jacket Flap readers to experience "Code 47 to BREV Force, " for FREE. E-mail: [email protected] for details. Well F.. you need to take time to smell the roses....or hummus, or whatever you got handy at the moment. take it from someone who's never had enough time in a day. I'm happier now that i've learned (at least a bit) to take things a little more easier. you'd be amazed at what you still accomplish. Fastest way is when someone invites you to be a friend, all of their friends are lined up on the screen and one click for each will make the invitation. Another way I do it is to click on Community, then People Online and then I invite the ones at the top of the list. You know they are using the site. My suggestion for getting the most out of this site is invite lots of people to be friends. That's what I do. things there is to do.